Space is limited. Arrive early to reserve your spot. All ages welcome. Track your progress each week on our leaderboard available beginning July 18th. The more games you win, the higher you’ll climb. Keep in mind you’ll only be ranked against other Players who’ve registered for the same theatre region. Each week, the top 8 Players per theatre will be invited to play at the Regional Event on August 13th and will have the chance to win signed baseball swag and other great prizes! There is also a Bonus Prize! The Player that earns the most overall wins during each week of the Online Qualifying Period, regardless of their chosen theatre, will win a $50 PlayStation® Store Cash Card. Must be a legal resident of Canada (16 or over) to enter during the Online Qualifying Period. 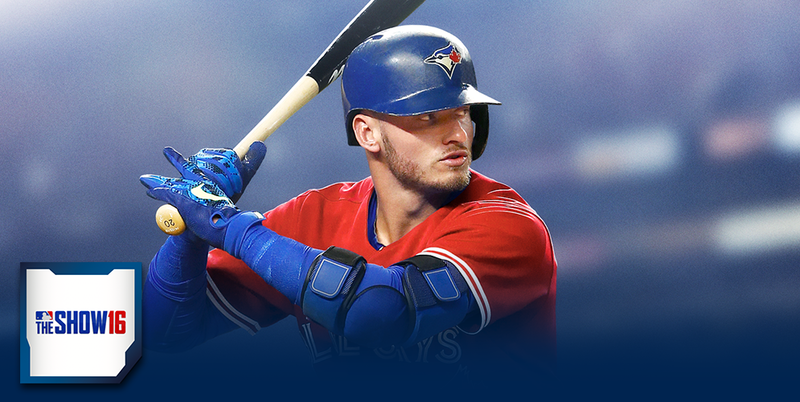 Each player must have: PlayStation® 4 system; a PS4TM copy of MLB The Show 16; and an active PlayStation® Plus paid membership to participate. Online Qualifying Period: July 16, 2016 – July 29, 2016. In-theatre Regional Event: August 13, 2016 at the following Cineplex theatres: Scotiabank Theatre Edmonton, SilverCity Polo Park (Winnipeg), Cineplex Cinemas Winston Churchill (Mississauga), Scotiabank Theatre Toronto, and Cineplex Cinemas Park Lane (Halifax). Tournament prizes consist of autographed baseball bats and hats, Cineplex movie tickets and concession vouchers, and PlayStation® Store Cash Cards (approximate retail value between $500 and $50). Weekly prizes valued at $50 will be awarded to the Entrant that earns the most wins during each week of the Online Qualifying Period. Tournament details subject to change. For full tournament rules please visit www.Cineplex.com/GameOn. TM/® Cineplex Entertainment LP. © 2016 MLB Advanced Media, LP. All rights reserved. TM/© MLBP. Offcially Licensed Product – MLBPA. © 2016 Sony Interactive Entertainment America LLC. “PlayStation” and the “PS” family logo are registered trademarks and “PS4” is a trademark of Sony Interactive Entertainment America LLC. “EB Games” and the “EBGAMES.CA” logo are trademarks of EB Games.